This plan encourages you to choose equally effective, lower-cost medications while ensuring that you still have access to other prescription drugs included in your drug plan. This plan gives you two levels of coverage for your prescription drugs. A list of clinically-sound and cost-effective brand name drugs and their generic equivalents. It covers about 85% of all prescription drugs available on the market. We refer to it as the Dynamic Therapeutic Formulary (DTF). Refer to the Complete list of DTF drugs (PDF, 7.1 MB) Opens in a new window.. Your reimbursement percentage will be higher if you and your doctor choose drugs from this list. A list of all the other drugs covered by your plan that are not on the DTF Tier 1 listing. Your reimbursement percentage will be lower if your doctor prescribes drugs on this list. Have a look at our short video clip explaining how the tiered plan with DTF works. Mandatory generic substitution applies to both tiers. That means that your reimbursements will be calculated based on the cost of the least expensive generic equivalent available on the market, unless you qualify for a medical exemption. If you choose to take the brand name drug when a generic equivalent is available, you will have to pay the difference between the two prices. 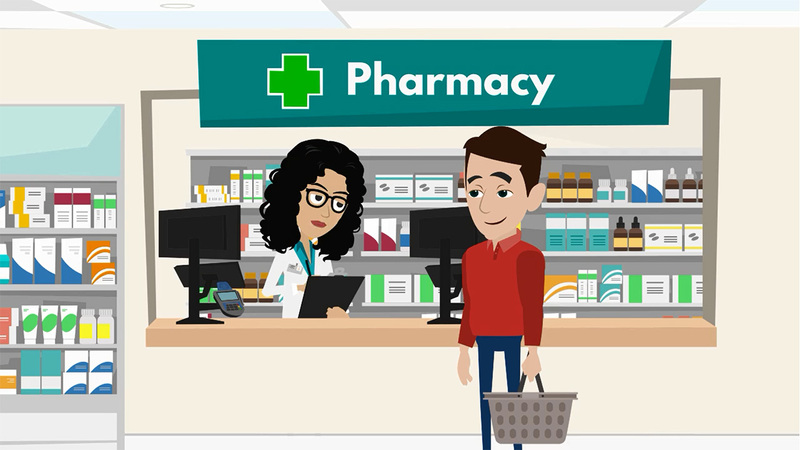 Have a look at our short video clip on the advantages of generic drugs. What happens if my prescription drug is removed from the DTF Tier 1 list? The Tier 1 list is thoroughly reviewed twice a year and drugs that are no longer considered the most cost-effective options will be removed. We’ll let you know several months in advance if your medication is going to be removed. If it is, it may still be covered under Tier 2 of your prescription drug plan. That means you’ll have to pay more for it. To see the most recent changes made to the DTF Tier 1 listing, refer to the latest update – Drugs to be removed from the DTF (PDF, 153 KB) Opens in a new window..
What if my prescription drug isn’t on the DTF Tier 1? You and your doctor can review the list of suggested alternatives to non-DTF drugs (PDF, 365 KB) Opens in a new window. to find the most appropriate alternative treatment. If there is a valid medical reason that requires you to take a brand name drug or a drug that isn’t on the DTF Tier 1 list, you and your doctor will have to fill out a Request for reimbursement of a medication not included on the DTF or of a brand name medication (PDF, 1 MB) Opens in a new window, and send it to us for analysis. Simon went to the drug store to pick up his ulcer medicine today. He only had to pay for part of it thanks to his employer’s tiered drug insurance plan with dynamic therapeutic formulary. This plan helps Simon keep his prescription drug costs down with two cost-saving measures: two reimbursement tiers, and generic substitution. Simon’s prescription drug plan has two tiers. Tier 1 is the dynamic therapeutic formulary list of drugs. It’s a list of the most clinically-effective and cost-effective drugs that will give Simon the best value for his money. It includes about 85% of all prescription drugs on the market. 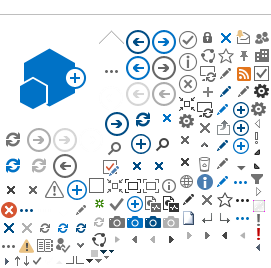 It’s called “dynamic” because it is updated on a regular basis. Drugs are added or removed based on the most recent medical information. When drugs are going to be removed from the list, a letter will be sent to Simon to let him know well in advance, so he’ll have plenty of time to talk to his doctor about an alternative. The drugs on this list are more economical, and Simon’s reimbursement percentage will be higher if he and his doctor choose drugs from this list. Tier 2 is a list of drugs that are not included on the Tier 1 list. Tier 2 drugs are not as cost-effective as Tier 1 drugs. This list gives Simon more drugs to choose from, even though they’re more expensive and his reimbursement percentage will be lower. This two-level approach gives Simon and his family more control over their choice of prescription drugs. If they want to reduce the amount they pay for their prescription drugs, they should ask their doctor to help them choose drugs from the Tier 1 list. The second cost-saving measure is generic substitution. Both tiers include brand name drugs and their generic equivalents. When Simon chooses a generic drug instead of the brand name drug, he will pay less and get the most value for his money. If he chooses the brand name drug, he’ll have to pay the difference between the brand name drug and the less expensive generic equivalent. Let’s look at an example to see how much money Simon will save if he chooses the generic equivalent of a brand name drug that’s on the Tier 1 list. Simon’s drug plan covers most of the drugs used to treat ulcers. Here are four ulcer-treatment drugs – both generic and brand name drugs from both Tier 1 and Tier 2. All four drugs are equally effective for treating ulcers. Even though they’re all covered by his drug plan, Simon will pay less for the Tier 1 generic equivalent than he would for any of the other drugs. Tier 2 gives Simon more drugs to choose from than he would have if his plan only had one list. Right off the bat, there’s a 20% difference in cost between Tier 1 and Tier 2 drugs because of the different reimbursement percentages. Simon’s drug plan pays a higher percentage for Tier 1 drugs. In both tiers, no matter which drug Simon chooses, his reimbursement will be based on the cost of the generic drug. For example, under Tier 1, the brand name drug costs $60 and the generic equivalent costs $20. That means Simon will pay $44 if he chooses the brand name drug, but only $4 if he chooses the generic equivalent. And remember – both drugs are equally effective! So you really just have to remember two things: First: Tier 1 gives you a higher reimbursement percentage. And second: it pays to choose the generic equivalent drug. Do what Simon did, talk to your doctor to make sure you’re getting the drugs that give you and your family the very best value for your money! Find out more about the Tiered Plan with Dynamic Therapeutic Formulary (PDF, 446 KB) Opens in a new window. Latest update – Drugs to be removed from the DTF (PDF, 153 KB) Opens in a new window. Complete list of DTF drugs (PDF, 7.1 MB) Opens in a new window. List of suggested alternatives to non-DTF drugs (PDF, 365 KB) Opens in a new window.